We are one of the most eminent names of the market engaged in offering superior quality range of D.C.G.I. (Drugs Controller General of India) Molecules to the customers. The entire range is formulated under the expert supervision of our team of experts. 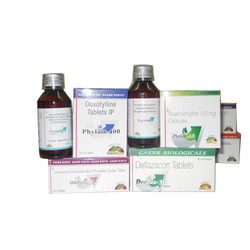 These products are procured from some of the well-known manufacturers of pharmaceutical products. In our range, we offer D.C.G.I. Molecules Tablets, D.C.G.I. Sachets, D.C.G.I. Molecules Syrup, D.C.G.I. Molecules Injectables and D.C.G.I. Molecules Capsules. We offer genuine quality D.C.G.I. Molecules Tablets to the esteemed customers. These tablets are sourced by the help of our team of procuring agents from some of the trusted market vendors. In order to meet the exact demands of medical sector in a timely manner, we make timely delivery of the ordered products at the clients' end. Available with us are high quality D.C.G.I. Molecules Capsules for the valued customers. 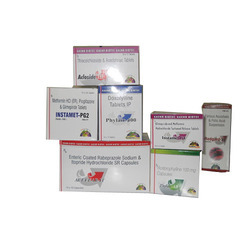 These capsules are accurately formulated by a team of highly experienced & skilled professionals, at the vendors' end. With the help of our wide distribution network, we ensure to deliver the ordered products at the clients' end within the committed time frame.